The Supreme Court on Friday dismissed CBI's appeal against the Delhi High Court verdict discharging all the accused including Hinduja brothers in Rs 64 crore Bofors pay-off case. A bench headed by Chief Justice Ranjan Gogoi said it was not convinced with the grounds of the CBI on the delay in filing the appeal. The CBI appeal was filed in February 2018, twelve years after the Delhi High Court discharged all accused including Europe-based industrialists Hinduja brothers in the Rs 64 crore Bofors pay-off case. The Attorney General General K K Venugopal had advised against filing an appeal after a 12 year delay. “It could be dismissed on grounds of delay and could well prejudice its stand even as a respondent in the appeals already pending (Ajay Agrawal’s petition). It will be better if the CBI remains a respondent and presents its stand”, he had advised. In the appeal, it cited a new evidence and referred to the October 2017 interview of private detective Michael Hershman, who alleged that the then Rajiv Gandhi-led Congress government had sabotaged his investigation. Explaining the delay, the SLP said: "While the petitioner-CBI was of the view that the impugned order is legally unsustainable and should be challenged before this Hon’ble Court, ultimately a decision was taken not to challenge the impugned order on the basis of the views expressed by the Government of India and the law officers who dealt with the matter at that stage, as the Government denied permission to the CBI to approach this Hon’ble Court. The matter has been reexamined now, in view of a most significant development in the form of an interview given by one Mr. Michael Hershman to an Indian TV channel on 17.10.2017. In the said interview, Mr. Hershman has stated, inter alia, that he is in possession of material which would show the payment of bribes in the Bofors deal, and that the involvement of powerful persons may be the reason for the checkered history of this case”, it said. The apex court, however, said that an appeal against the same HC verdict filed by advocate Ajay Agarwal is pending and the CBI can raise all grounds in it. SC had on October 18, 2005, admitted Agrawal’s petition which was filed after the CBI failed to approach the top court with the appeal within the 90-day deadline following the high court verdict. In a hearing held in January 2018, the Court had questioned Agrawal about his locus standi to file the appeal. 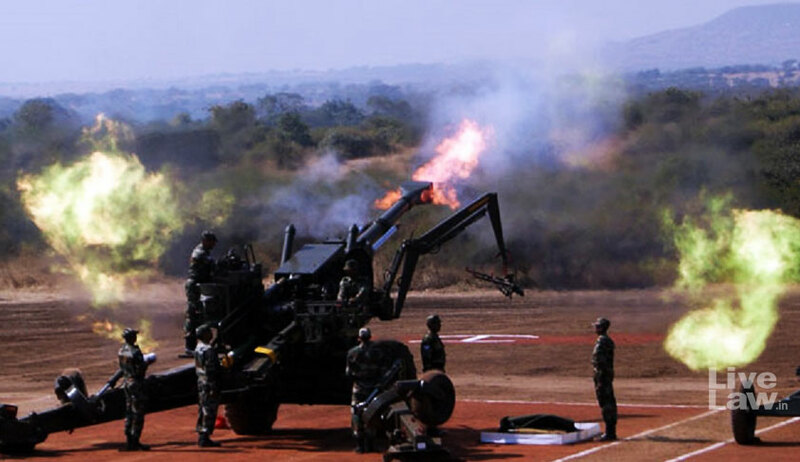 The Rs 1,437-crore deal between India and Swedish arms manufacturer AB Bofors for the supply of 400 units of 155-mm Howitzer guns for the Indian Army was entered into on March 24, 1986.